Six weeks work with three live sittings. Middleton’s purse is $3,500 for the People’s Choice Prize. 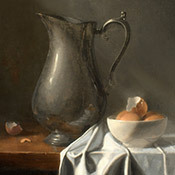 Painting already sold to a private collector. 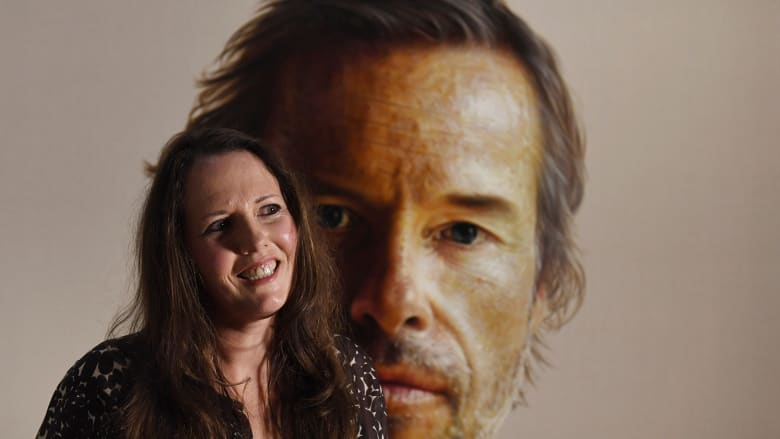 ''The eyes say it all,'' said Melbourne artist Anne Middleton, whose hyper-realistic portrait of the actor Guy Pearce has taken out the 2018 Archibald Prize People’s Choice award. 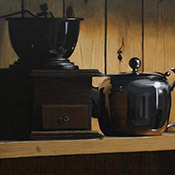 Middleton's studio oil of Pearce, projecting an intense gaze that is bold and direct yet tinged with sadness and vulnerability, was announced the winner at the Art Gallery of NSW Wednesday. Artist Anne Middleton with her portrait of Guy Pearce. 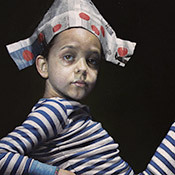 The painting has won the people’s choice award at the Archibald exhibition. 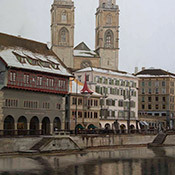 The award carries a prize purse of $3500 for the artist, the daughter of en plein air painter, Max Middleton from whom she inherited her technical prowess. It was her first formal large-scale portrait and it took three sittings and ten weeks to capture Pearce's likeness right down to the finest wrinkles and sun freckles. A musician friend had acted as an intermediary and on meeting the actor she was struck by his warmth, keen intelligence and his honesty. It was particularly gratifying that the portrait had resonated with the public, she said. Better known for her perfected treatments of botanical subjects and work that draws on the classical, romantic and baroque artistic traditions, the artist's portrait of Pearce was her first Archibald Prize entry. 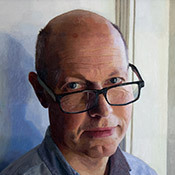 The winning portrait was selected by popular vote from among 57 Archibald Prize finalists, of which more than half were portraits or self-portraits of artists. More than 20,000 visitors to the 2018 Archibald, Wynne and Sulman Prizes voted with 10,000 visitors providing written comments about their favourite work. Melbourne art teacher Yvette Coppersmith won the Archibald for a self-portrait. Art Gallery of NSW director Michael Brand, said of the 10,500 formal written comments about 2,500 mentioned the Pearce portrait. 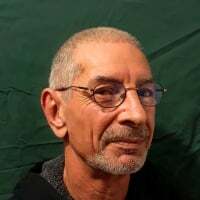 It was, Middleton said, inspired by early photographic portraits of Indigenous people using tintype photography, an interest of which both artist and subject shared. She painted Pearce in the natural light of her studio: one side of his face in deep shadow, speaking of difficult times, and the other side lit to provide an uncompromising, honest and unflinching light. The painting will be placed in the private collection, Slow Burn, honouring Australian women artists. Pearce sent his congratulations to the artist from Amsterdam where he is working. I remember thinking how terrific her painting was when you first posted the entries. She deserved the win. Thanks for the follow-up, Denis.